GreenRope is one of the only CRM platforms that include Predictive Analytics out of the box. What does this mean for you? 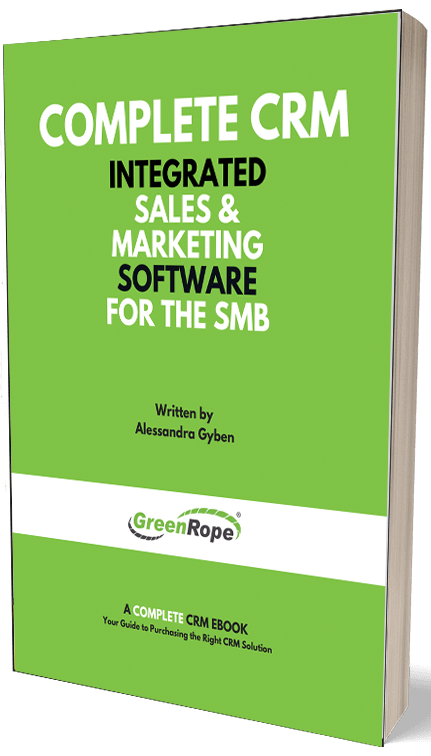 It means that, with GreenRope, you can predict which contacts are most likely to purchase or convert at any given stage in your sales process. So, now that we have expressed the incredible value that predictive analytics provides your business, let’s talk about how you can implement them into your everyday strategy. First things first, you must define, setup, and embed your conversion codes. Setup your conversion codes and tracking in Website > Tracking > Code. You are also going to want to put our website tracking on any and all pages that are associated with your marketing and sales. This way, you are able to track and analyze which webpages play an active role in conversions. Conversion tracking is used to manage when someone does something of value to you. In most cases, this is a purchase or an action that can be associated with a monetary value. Conversion tracking can also be used for tracking actions that are free, such as whitepaper downloads and website page visits. CONVERSION CODE is a unique code identifying the product or service being purchased. VALUE is the value associated with the purchase or in the shopping cart. STAGE is the stage in the purchase process, useful for tracking cart abandonment. Stages are numbers, like 1, 2, 3, 4, etc as you step through each stage to make a purchase. Now that you have setup your conversion and website tracking it is time to build your predictive analytics model. This may sound complicated, but GreenRope has made it easier than ever to setup and start using right away! Once you are on the Predictive Analytics page (found under Contacts > Prediction), you will see your conversion codes listed. Select the conversion code that you would like to build a model for. The first step in building your model is to discover what your correlators are. Click on the ‘Show’ button. GreenRope looks at statistical data including the activities, behaviors, and purchases of your clients and leads. This is where you will see a list of all correlators, including website visits, CRM activities, conversions, and more. The higher the number on the right hand side, the more that activity correlates to a conversion. If you have different stages for each conversion, you will see the top correlators overall, as well as the correlators at each state of the conversion. The one that you should be most interested in is where the money comes in! The next step in building your model is to determine the time frame to base your prediction off of. Since business models and processes often change, you can use the “Find” area to set how far back you want GreenRope to calculate your conversion influencers. To get the most accurate prediction model, we recommend you set the time frame to start around the time you made any major changes. After you have selected your time frame, click on the “Build Prediction Model” button, and let us work our magic. Note: It may take a few minutes to build your model. Be patient. It is worth it. Once your model has loaded, it is time to select which correlators you would like to include or deselect from your model. For example, you may want to deselect any conversions that have happened, as these will skew your results. This is the most exciting part of the process. You have done your due diligence in setting up your conversion codes, website tracking, and building your model, now it is time to see all of that work in action. Select the “Leads” button to view a list of leads that are most likely to convert based on all of your correlations. Each lead will have a score associated with it based on all of its activities and behaviors. The higher the number, the more likely they are to convert. If you would like to see a detailed view of why they received the score they did, select the ‘Details’ button. This will show you every webpage visited, CRM activity tracked, and more useful information. Remember: The number/score they receive is also based on our half-life model. This means that we take into account the time frame that each action occurred. Obviously, a person whose last activity was a day ago is going to receive a higher score than someone who last engaged with your website over a week ago. At the bottom of the “Leads” page you will see a chart. This chart shows you the average conversion value and how many contacts are strongly correlated at that stage. Again, what you really should be focused on is the money stage. Afterall, it’s all about making money! So, there you have it, your guide to using GreenRope’s predictive analytics. EVERY business should implement this very powerful tool into their daily processes, as it will help you identify your best leads, as well as the key factors in converting leads into paying customers and clients.